Style is elusive when it comes to a definition. Style can probably be best described as living with what suits you best and what feels comfortable. What succeeds in decorating is the courage of personal conviction. The best home environment will proudly reflect the personality of its owners. An emphasis on individuality, a celebration of personality, room-settings where furnishings or artwork are the main feature. 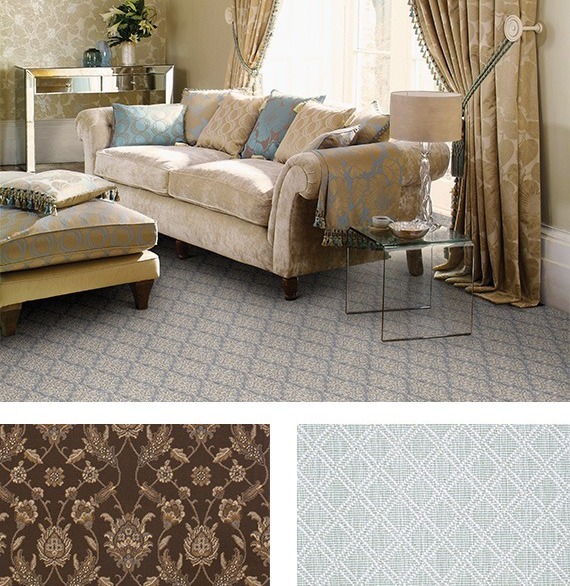 A fascinating blend of traditional materials, shapes and prints, each designed to brighten the room. 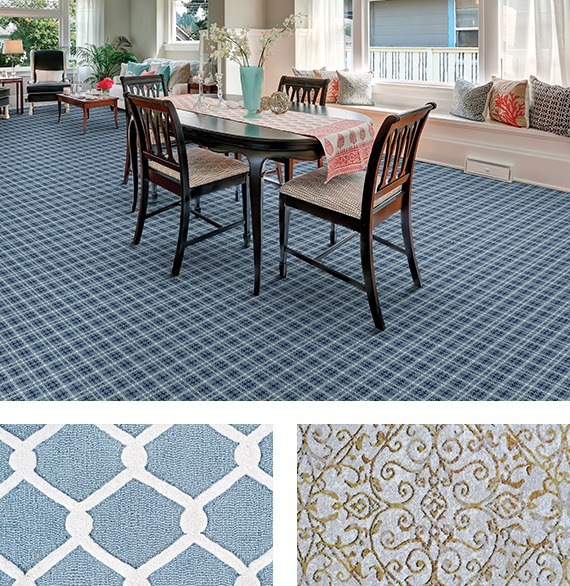 Smooth, frieze styles in bold, plain colors, subtle neutrals with textured effects. Stripe patterns in solid and multi colors, structured geometrics with subtle layers of color. Rich greens, warm yellows and golds, royal tones of deep red, moody indigo and purple and modern pastels. 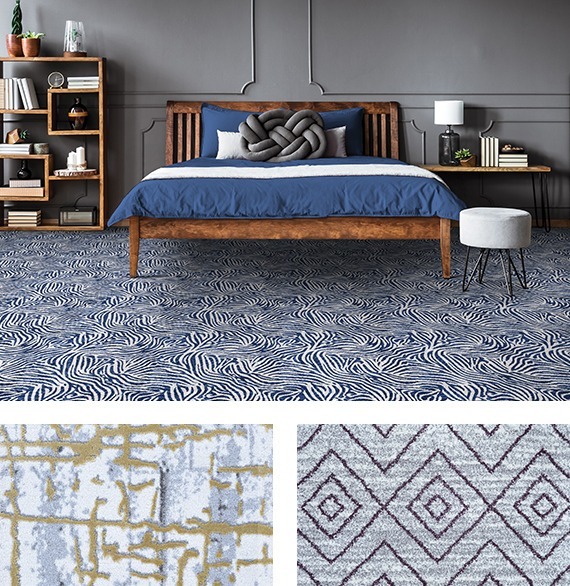 Casual interpretations include neutral colors blended with textured appearances, shags and strongly textured piles with multiple fiber contents. Uncluttered, open spaces that offer serenity and versatility. 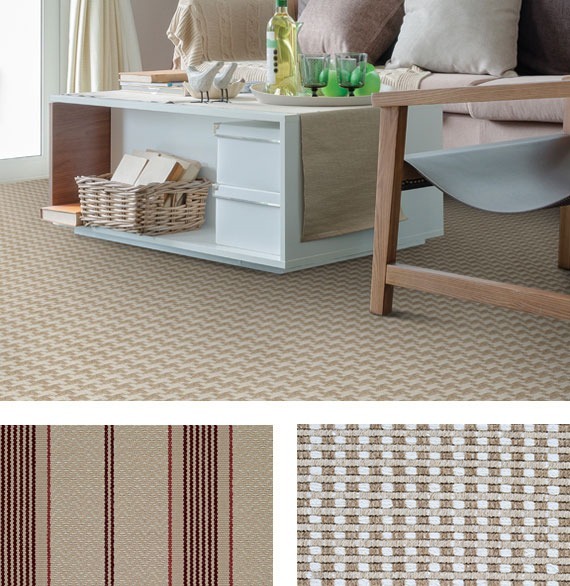 Textured wool sisal, strongly textured (loop and/cut and loop) or flat finished carpet. Relaxed red brown shades, earthy colors, summery tones and tried-and-true neutrals will always have a place in home décor. Palette includes black, taupe, white and beige; add a fresh twist with soft pink, mauve or silver. Elegant and timeless appeal, a feeling of decadence and indulgence, well-cultivated charm and mystique. A reassuring link to the past, comfort, a sense of security and continuity. Carpets with equally proud traditions of manufacturing, woven Wiltons, Axminsters, Modern Tufted; floral and Victorian designs and solid plain colored plush piles. Warm colors, royal hues, sage greens, moody blues and strong old world pure colors such as white, cream and black. Sustainable and low maintenance entertaining areas that offer a breath of freshness as well as elements of relaxation. Open spaces that are both livable and can be used for entertaining, cooking and relaxing or a combination of the three. The mixing and matching of simple materials such as wood, wicker, stone and wrought iron come into play. Durable, flatwoven polypropylene, subtle hints of texture and simple geometric patterns that are not overwhelming, ribbed striped patterns and solids that rely on color to set a strong foundation. 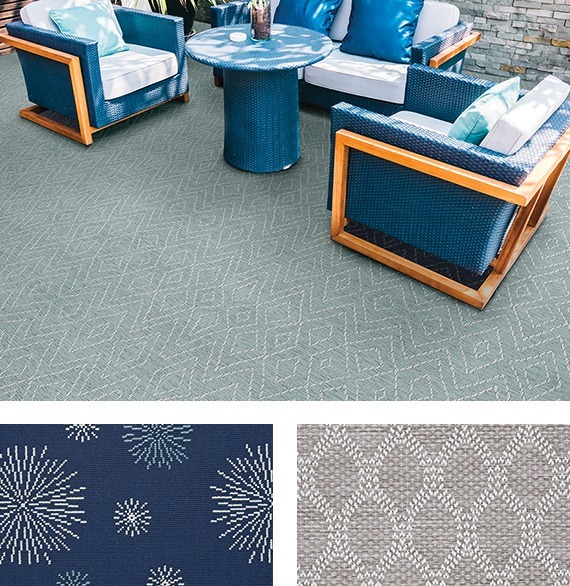 Soothing greens and blues, eccentric oranges, blacks and aqua hues that offer a fresh, tropical feeling, true wicker and classic rattan, pewter and terra-cotta colors that never go out of style. Exotic interpretations of country styling include: English Cottage, French Provincial, Tuscan and Colonial. Casual interpretations include textured and structured appearances, shags and strongly textured piles. Textured wool sisal, strongly textured (loop and/cut and loop) or flatwoven. Robust, earthy colors, shades of lilac, old world, fine gold hues, pure white and cream.